Dr Paul Zickler graduated from the faculty of medicine at the University of Western Ontario in 1972 and became an Emergency Physician. He practiced as an Emergency Physician for 18 years after which he co-owned and operated several ambulatory medical and travel clinics for 12 years. In 1999, Dr. Paul Zickler was co-founder on DoctorSolve™ Health Care Solutions. 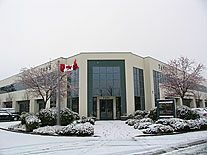 To satisfy the demand of American citizens looking for affordable pricing on prescription medication in Canada, they opened a Canadian office specifically for American customers, creating national media attention on both sides of the border. Dr. Zickler, has also served as an Associate Professor of Emergency Medicine at the University of British Columbia, the Director of Professional Programs for the Justice Institute of British Columbia (paramedic academy) and was the principal investigator for Phase 2 and 3 studies researching vaccines. His passion for health lies not only in western medicine but also in alternative and natural medicines. Dr. Zickler believes that in order to achieve optimal health, one needs to combine the best of the western and natural world. Now you might be thinking: “Medical doctor and natural health? The two just don’t mix”. Trust us – it does! Dr. Zickler has a strong interest in all aspects of health, especially nutrition and naturopathy. He has always believed that as a doctor, it is his responsibility to not only help his patients recover from disease and illness while it occurs but to also help prevent disease and illness from occurring at all. Dr. Zickler’s philosophy on health became even clearer when his daughter chose to study as a naturopathic doctor. As she progressed in her studies, he found himself also diving into the world of natural health. – In his spare time, Dr Zickler enjoys reading the latest health trends, indulging in health books, attending health conferences, and of course spending time with his family.